Founding Ratio in 2002 Andy Dray and David Banham have worked together designing products for over twenty years. Their work is driven by a powerful blend of design flair, engineering experience and straightforward... Read more intuition. As a small team they tailor input in the most flexible and cost effective way. 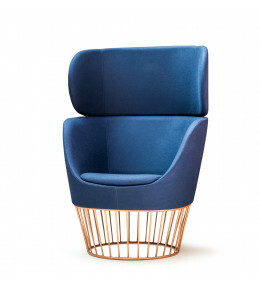 Dixi High Back Armchairs provide privacy, comfort and style. Ideal for agile working.